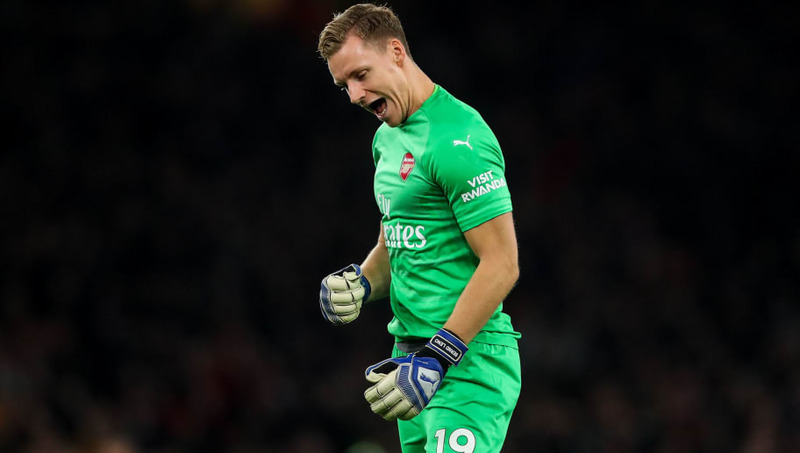 David Seaman is ‘impressed’ by the manner in which Arsenal’s Bernd Leno has atoned for his previous blunders, most notably against Liverpool, in order to become the Gunners’ undisputed first-choice stopper. A former mainstay between the sticks in north-London, Seaman laid claim to nine major trophies during his glittering career at Highbury, although even his esteemed professional journey comprised a number of gut-wrenching clangers, for both club and indeed England. A fundamental hallmark of a consummate goalkeeper is having the resilience to dust down in the face of adversity, and after the German international parried the ball into James Milner’s path at the Emirates at the beginning of November to gift the Reds the encounter’s opener, Leno has undoubtedly answered his scathing critics with a string of inspired performances. Speaking to the media (via The Guardian), Seaman outlined how the 26-year-old immediately bounced back in recent weeks, a composed resurgence that has silenced scrutiny and attracted glowing plaudits. “You look at that and think: ‘Right, you have had a blip, let’s see how you react.’ That is exactly what I look for in a goalkeeper: how they respond after making mistakes,” he explained. Joining Arsenal from Bundesliga outfit Bayer Leverkusen in the summer transfer window for a supposed figure of £20m, Leno has seamlessly integrated into Unai Emery’s blueprints and has even ousted veteran stalwart Petr Cech from the Spaniard’s domestic matchday line up. Cech, 36, began the 2018-19 campaign as Emery’s preferred option, but after substantial errors crept into the Czech’s distribution, Leno snatched the chance to clasp supremacy with both hands and hasn’t relieved his steely grip since. Bonding with an entirely new set-up is a particularly daunting prospect, especially on foreign soil. Adapting to the ruthless pressures of the Premier League and its crippling expectations often takes its toll, but Leno has ultimately conquered the pivotal task of proving his worth amongst his revered teammates and coaches. “The lads would have seen a lot of him in training and they accept you through that – it can work the other way and they can see how bad someone is! But that is the first thing you have to do, to get the respect of the lads. Share the post "David Seaman ‘impressed’ by Arsenal stopper’s atonement"